Joseph Goethe authored numerous books on woods of the world including rare, exotic, as well as commercial ones. It is clear that Goethe loved both his medium and his craft. 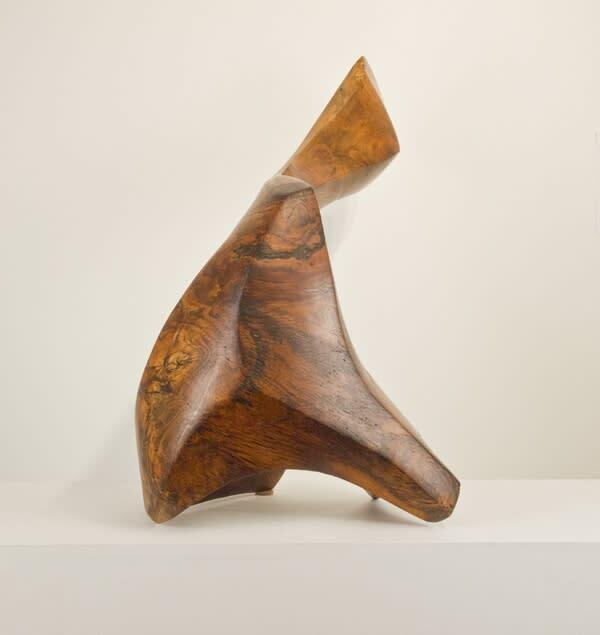 In Abstract Reclining Form this carver has created an organically conceived and singularly contained flowing linear piece that complements the texture and color of the prima material of wood. Goethe has taken meticulous accounting of the grain, the texture, and the color of the chosen wood in order to leverage the maximal beauty potential. A fluidity and grace as well as a genuine modesty has been imparted to the sculpture that becomes a masterpiece in the hands of an experienced sculptor such as Goethe. 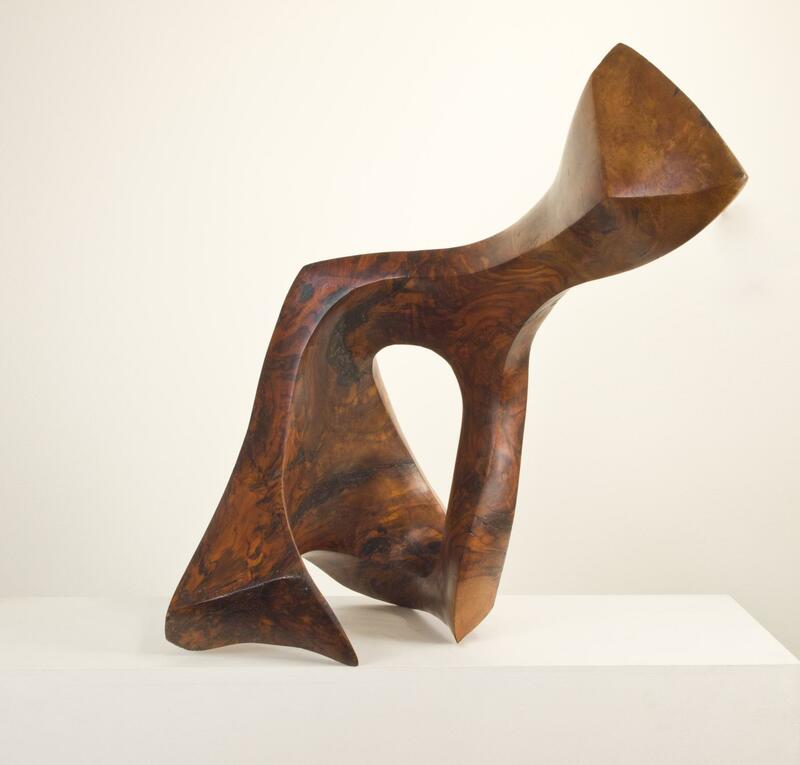 The sculpture has been seamlessly conceived with an exquisite balance between material and shape, neither one outshining or overpowering the other. 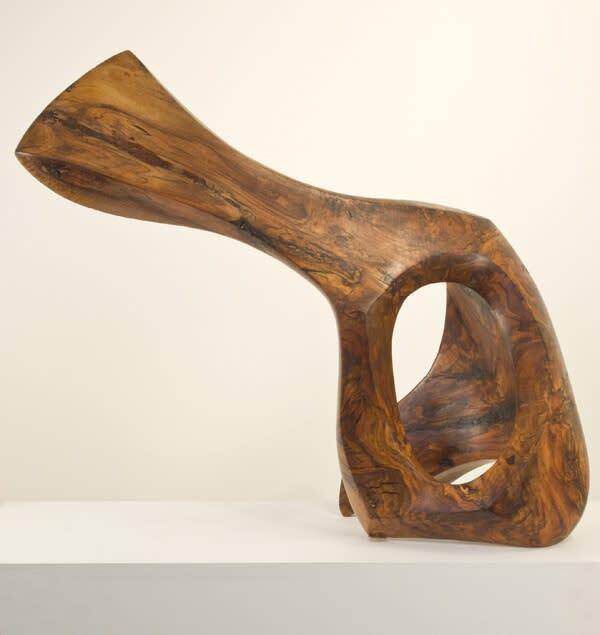 What results is a masterfully carved and harmoniously integrated piece that evokes an aura of timelessness as well as a fresh modern spirit that can be integrated into any classical or contemporarily inspired environment.